Dainty but eyecatching, our Lola waspie will give you great curves with very little mobility restriction. 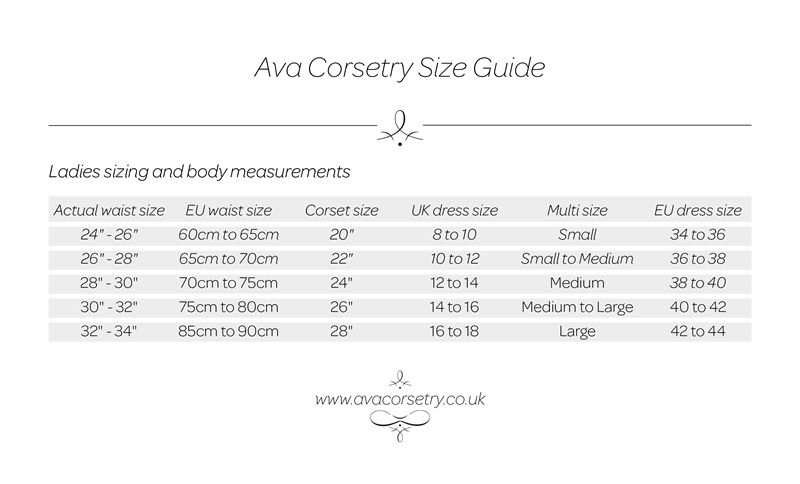 Perfect for beginner corset wearers and comfortable enough to wear all day long. 20cms in length, Lola is made from top quality corsetry coutil & Japanese duchess satin, trimmed with eyelash lace. Superb German steel boning and busk feature internally with a full cotton waist tape for extra support. Two piece silver eyelets finish off this lovely little corset. Our wonderful Lola mesh pencil skirt! Or under your favourite dresses & skirts for a nipped in curve. As outer wear over a nice blouse with trousers or skirt.